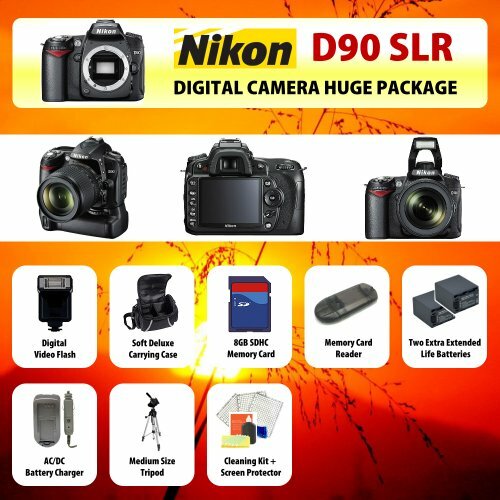 Nikon D90 Digital SLR Camera Body + 2 Extended Life Batteries + Battery Charger + 8 GB Memory Card + Card Reader + Tripod + Carrying Case + Starter Kit + Digital Flash and more!! The Nikon D90 SLR Digital Camera, with its 12.3-megapixel DX-format CMOS, 3″ High resolution LCD display, Scene Recognition System, Picture Control, Active D-Lighting, and one-button Live View, provides photo enthusiasts with the image quality and performance they need to pursue their own vision while still being intuitive enough for use as an everyday camera. It features Nikon’s EXPEED image processing engine to deliver outstanding images featuring fine details, smooth tones, rich colors and low noise across a wide ISO sensitivity range, and significantly accelerate camera performance on all levels. 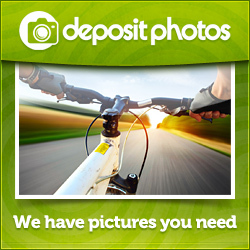 With a start up time of just 0.15 seconds and a shutter release lag time of approx. 65 milliseconds, the D90 delivers instant response, and provides continuous shooting at a rapid 4.5 frames per second. In addition, the D90 introduces the D-Movie mode, allowing for the first time, an interchangeable lens SLR camera that is capable of recording 720p HD movie clips. The Nikon D90 lets users take advantage of the superior optical quality and broad selection of available NIKKOR lenses, and the refined 11-area AF System (based on Nikon’s advanced Multi-CAM 1000 AF Sensor Module) ensures consistently fast and precise focus lock in various shooting conditions while Nikon’s exclusive 3D Color Matrix Metering II ensures accurate automatic exposure control, even in the most challenging lighting conditions.